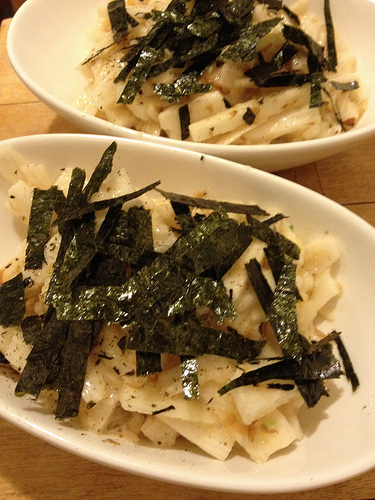 The nagaimo yam (a.k.a. Dioscorea opposita or Shan Yao) has gained significant popularity as a healthy side dish to add to any Asian-themed meal. 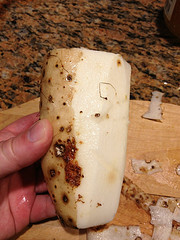 In traditional Japanese cuisine, this yam is typically eaten raw, and when grated it takes on a jelly-like consistency to put as garnish on soup noodles. Although it is called a "yam", it bears very little similarity or relation to the sweet potatoes known as yams in North American cuisine. It is also often used in stews as well as various stir-fry applications, and can be eaten boiled, baked, mashed or fried. by naotakem - Nagiamo Yam sliced raw to be eaten. The nagaimo yam also contains allantoin, a naturally occurring chemical compound that can facilitate faster healing and recovery times through promoting the accelerated growth of healthy tissue. The jelly-like substance produced from grating the yam is applied topically to the skin in order to treat boils, ulcers and other aberrations. This yam is also commonly used to treat multiple kidney and gallbladder problems, as it is believed to contain nutrients that nourish these organs in particular. 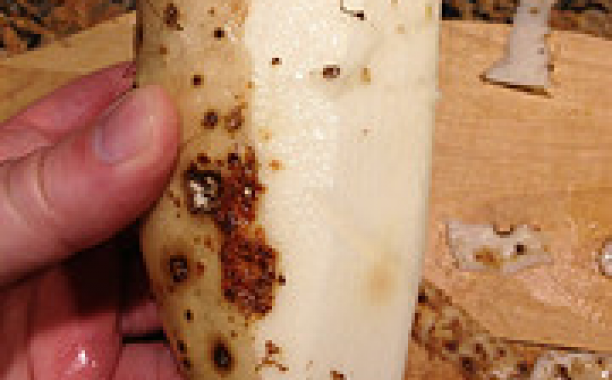 Along with the nagaimo yam's many potential medicinal characteristics, it also contains several beneficial nutrients such as Vitamin B1 (thiamine), which promotes healthy mucous membranes, and Vitamin C, which fortifies the immune system. Another important nutrient found in this health-friendly yam is glutamine, which aids in the prevention of muscular breakdown and improves the metabolism of protein. So not only does this power-packed yam serve as a great complement to any Asian-themed dish, but it also provides a litany of health benefits that make it a great addition to your culinary lineup. 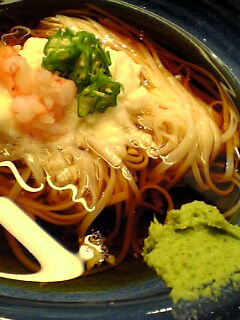 Another healthy Yam to look into is the Shirataki Yam Noodles(link) and yes, it is in Noodle format. It is also known as the miracle noodle for its weight loss properties. If you are a fan of Japanese food and a lover of sushi, you probably know what wasabi is. It's that green, spicy condiment.